Lindiwe is a little sweet black lady. 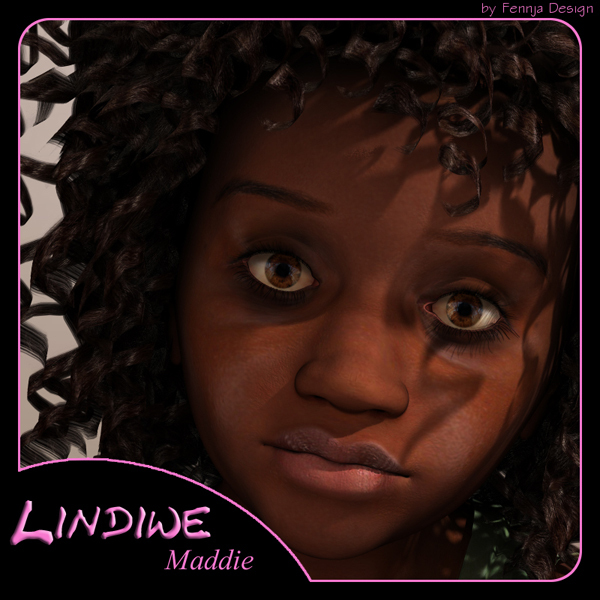 Lindiwe will also work in DAZ Studio (thanks to my tester) but please note that the textures might look different in DAZ Studio as in Poser (because of the Shader nodes). Promo images rendered in Poser 8 with Firefly engine. No Postwork on promo images except composition. Clothes, Hair and not listed props aren't include. No support for MAC user.